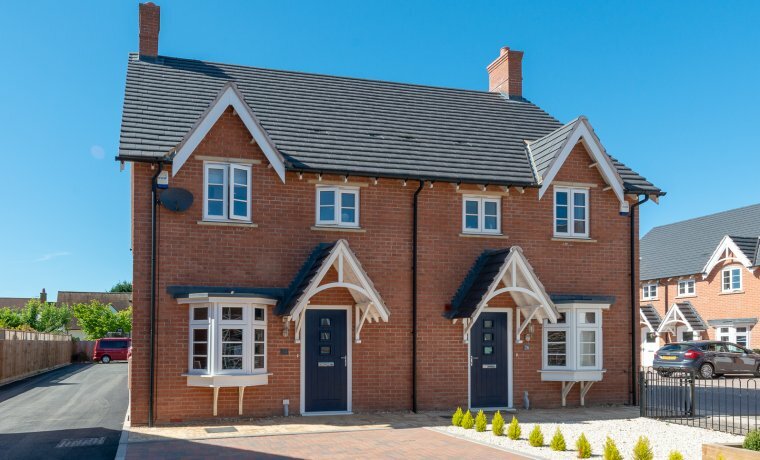 Strancliffe Gardens is a unique and charming development of 94 beautifully designed properties situated in the bustling north Leicestershire village of Barrow Upon Soar. Located in the former grounds of Strancliffe Hall, Strancliffe Gardens is an exceptional and exciting development with several different house styles, ranging from two to six bedroom homes, ensuring that Strancliffe Gardens offers a range of house styles to suit the requirements of any prospective home owner. 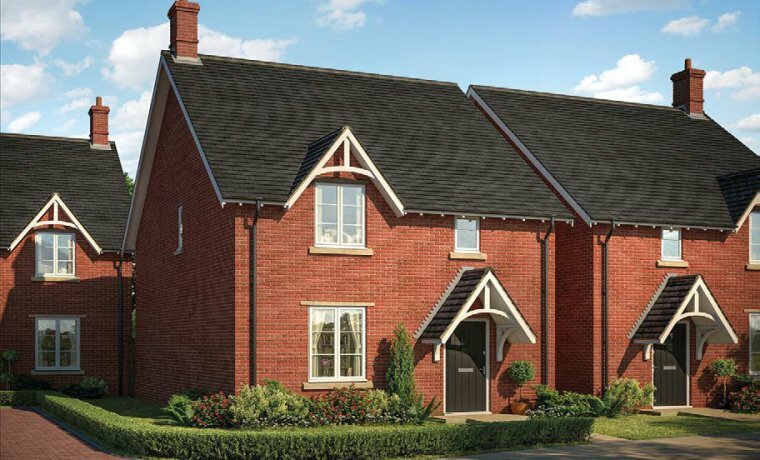 Last chance to buy – Only one plot remaining! which offers prospective home owners and excellent selection of local schooling and village amenities. 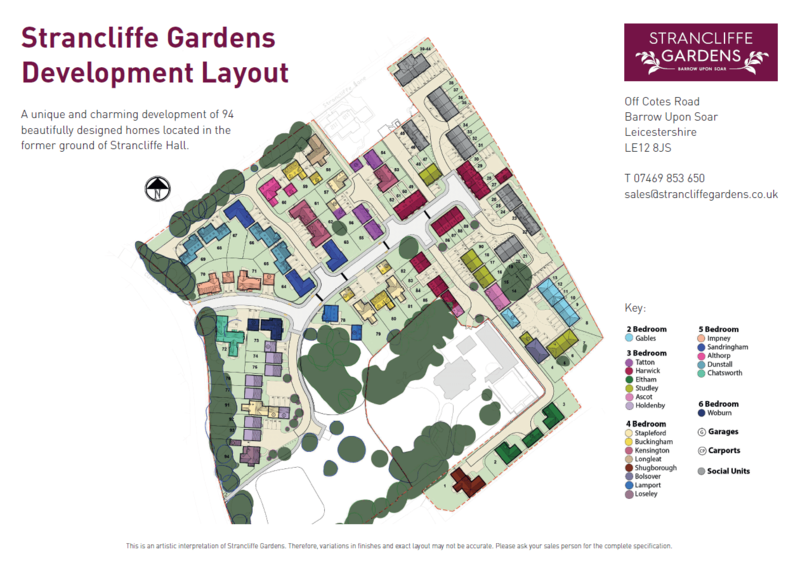 Located in the extensive former grounds of Strancliffe Hall, Strancliffe Gardens occupies an enviable location off Coates Roads, close to local amenities of Barrow Upon Soar, many of the village pubs are located along the picturesque banks of the river Soar and the Grand Union Canal. Barrow Upon Soar is located 3 miles south of Loughborough and 10 miles north of Leicester, offering excellent links to the M1, A6 and A46. East Midlands Airport is just over 10 miles from Barrow and the train station in the village has a regular and direct train service to and from Leicester and London St Pancras on an hourly basis. Barrow Upon Sour and the surrounding areas, provide an excellent selection of local schooling and further education. 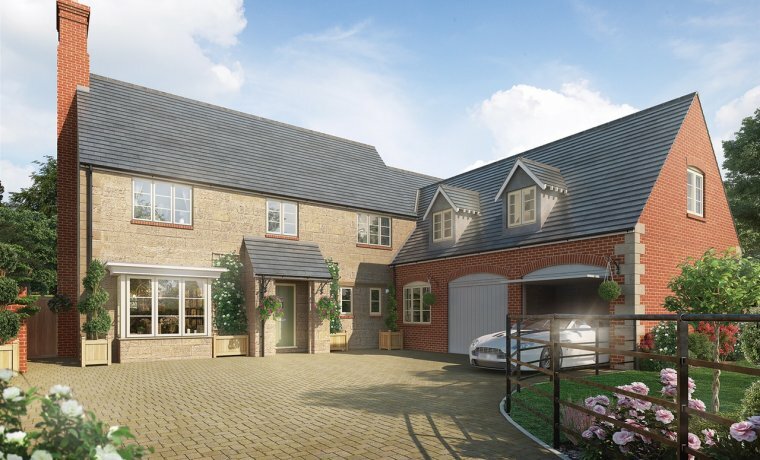 The Chatsworth – An impressive 5 bedroom detached executive home with double garage. 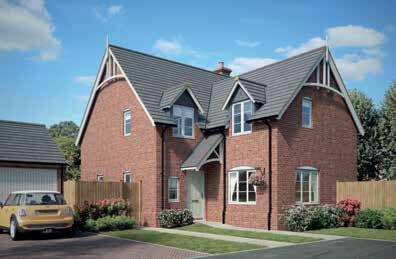 The Strancliffe Gardens specification is exceptional. 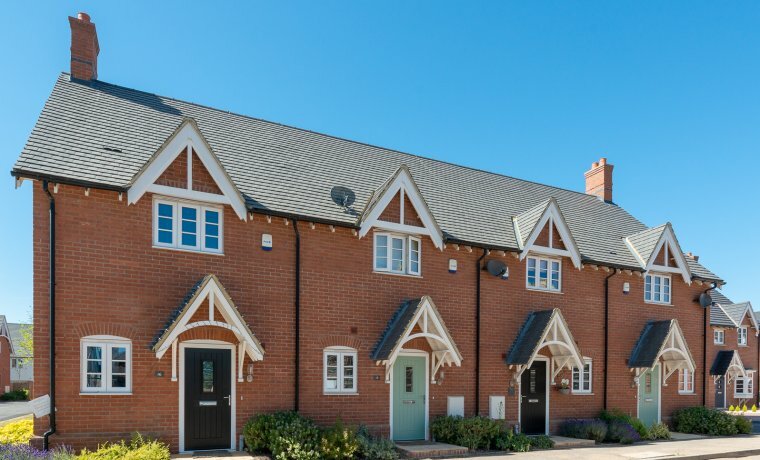 This is testament to Barwood’s enduring promise to offer stylish, comfortable and practical homes, through its attention to detail therefore providing a development on unparalleled quality. Each house type at Strancliffe Gardens has a uniquely designed Kitchen layout where customers are able to personalise the finish from an array of unit doors and worktops to ensure the kitchen is truly bespoke and tailored to a purchasers individual requirements. Each kitchen is designed, supplied and fitted by local craftsmen and boasts impressive range of stainless steel Siemens appliances. The Swiss designed Laufen ‘Pro S’ range of sanitaryware is fitted as standard to all bathrooms, en-suites and WCs. High quality, thermostatic showers, chrome taps and towel rails are provided as standard to all bathrooms and ensuites. Purchasers are able to add further personal touches from an extensive range of extras, including Laufen vanity units, illuminated or demisting mirrors or by increasing tiling. 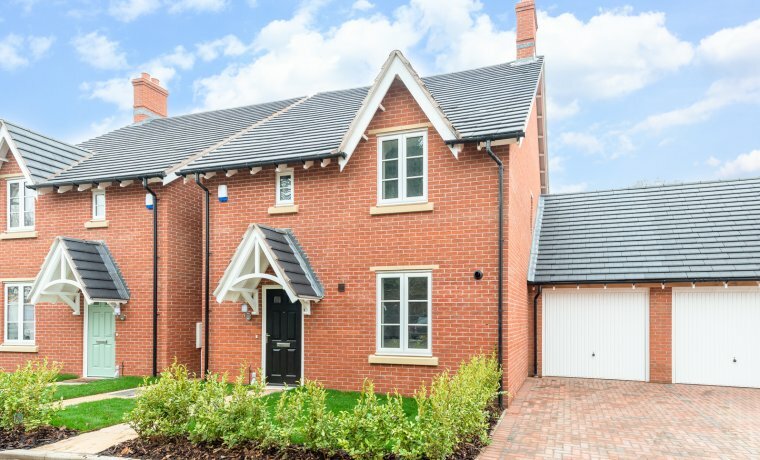 Barwood have been meticulous to ensure that each plot at Strancliffe Gardens provides continuity with the current surroundings. There is permanence in the design and finish to guarantee that the development is a positive enhancement to the existing community in Barrow. 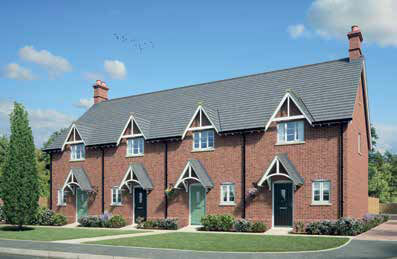 Each home on Strancliffe Gardens is constructed in either brick or rendered finish. Private shared driveways will be finished in Breedon gravel pavement and private driveways will be block paved. plot will be laid with turf and landscaped in accordance with the approved scheme. House type specific electrical and heating layouts are designed by specialist consultants to offer a perfect balance. Plans are provided to denote the location of radiators, light switches and electrical switches. The lounge, kitchen and all bedrooms are fitted with TV points. The lounge, master bedroom and study (*where appropriate) are all fitted with a BT phone point. All plots are fitted with a burglar alarm as standard. An external light is fitted to the front elevation, and wiring for a future light fitting is provided to the rear of each house type. All plots are fitted with smoke detectors as standard. All plots are fitted with high efficiency boilers. All internal woodwork is finished in satin white and Ogee profile skirting and architrave is fitted to all house types. White smooth, four-panel internal doors with polished chrome lever on rose furniture are fitted to all house types. Walls can be personalised with a choice of up to two colours from the Crown range. All ceilings are painted white as standard. Internal doors, skirting boards and architraves are all finished in satinwood paint. A Barwood home is not just built for today, but designed as a permanent enhancement to the villages and towns they are situated in. This is achieved by our commitment to excellence in design, sensitive landscaping, sympathetic restoration, and addressing the needs not only of our customers but their neighbours, and also the wider community. Every detail and aspect of what we do has been carefully thought through to deliver the best design and quality on all our homes.